Your Turn: Nominate A Woman Who's Making Strides For Other Women : Goats and Soda For International Women's Day, tell us about a woman who's making life better for other women — and why she inspires you. We'll pick one to profile. 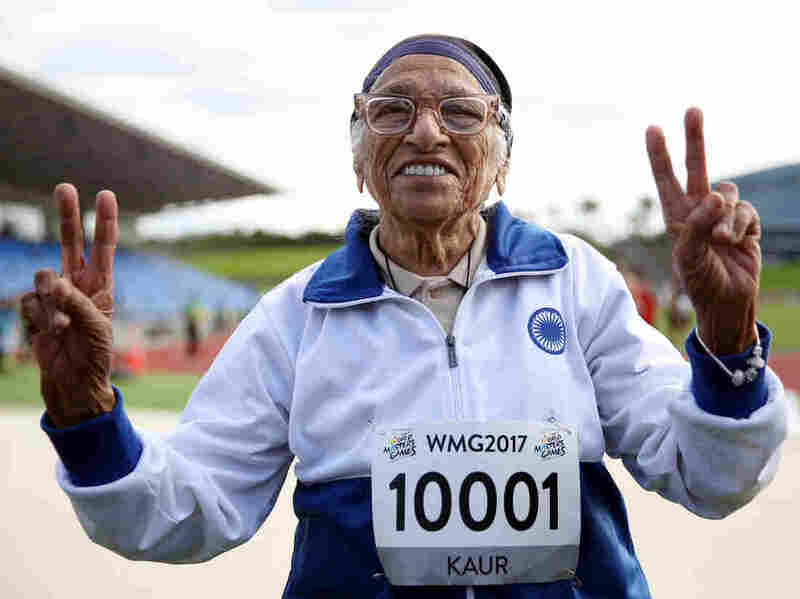 Centenarian Man Kaur of India celebrates after competing in the 100-meter sprint in the 100+ age category at an international event in Auckland on April 24, 2017. Today is International Women's Day, a day that aims to celebrate the achievements of women in all arenas: social, economic, cultural, political and personal, as well. Over the past year, NPR has profiled some remarkable women, from a 101-year-old runner from India to a Yemeni refugee who didn't let war stop her from being a scientist. Now, we'd love to hear from you. Tell us about a woman who's making life better for other women — especially in the developing world. It can be a woman you know personally, a woman you've read about in the news or an under-the-radar woman whose story you think the world needs to know. We're looking for activists, scientists, researchers, brave individuals who have overcome incredible obstacles. We're taking submissions until March 16. Use the form below to send in your nomination. Please tell us what this woman has done that inspires you — and would be inspiring to our readers as well. We will pick a woman to profile at the end of the month.